The Tesla of the seas; that's what some are calling the new multi-million dollar yacht that is on display this weekend at The Palm Beach International Boat Show . Imagine having the ability to own a yacht that eliminates a lot of the pain points of the average yacht; the noise, vibrations, and fumes of the diesel engine, the expensive maintenance on the motor, and black oily film on the water. Those negatives are something The Silent 75, which just arrived from Spain, does not have. CEO Michael Köhler of Solarwave Yachts says the motor only has one moving part, the motor, and two bearings. That means this motor can go maintenance-free for 50-thousand hours. "So even our grandchildren won't have to change the bearings," brags Michael Köhler. Michael told me the maintenance-free motor gives the yacht the ability to... "it can go forever;" long journeys thanks to the power from the sun. So this yacht has 42 solar panels with 96 cells each. Those solar panels charge batteries that power the propulsion system, kitchen, the three bedrooms, everything. 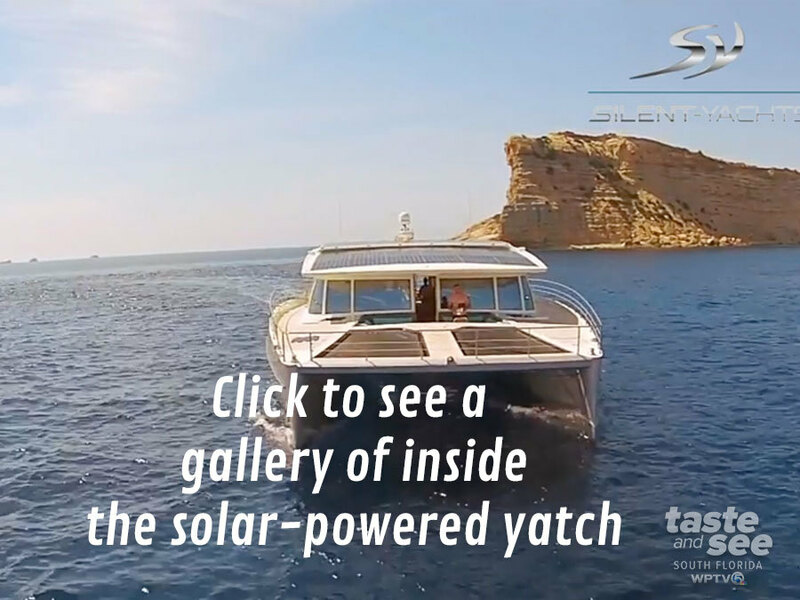 So just like a sailboat relies on the wind this solar-powered boat relies on the sun. I told Michael people are calling this the Tesla of the seas. "It makes us very proud because Tesla is a wonderful company producing wonderful cars. If you are not like me and can swing the price tag, you can purchase your own solar-powered boat from Silent Yachts out of Miami Beach. The price tag for the 75-foot yacht is almost 3.1 million dollars, and the interiors are completely customizable.